Thanks for a great conversation in Scottsbluff/Gering! "This grew my knowledge on being a journalist and how they are a major part of the community." "It was very informative. The moderator handled a couple of disruptive moments very well. The program didn't seem to be swayed toward either political party." "I really enjoyed the diverse panel and how they kept their cool and answered the few questions we had, which were more just comments on problems with the media." 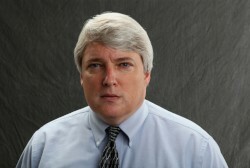 Charlie Brogan is a broadcaster with Alpha Media in Lincoln, Nebraska. He is currently afternoon News Anchor for KFOR Radio and specializes in reporting on Government and The Arts. He is a native Nebraskan, and earned a Bachelor’s Degree in Journalism and a Master’s Degree in Business from The University of Nebraska as well as membership in the Broadcasting Honorary Alpha Epsilon Rho. He started working in Radio as a sophomore at the University of Nebraska as a Newscaster and Reporter for KLIN Radio, Lincoln. 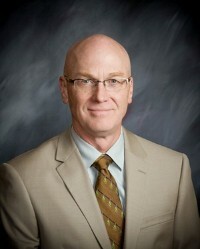 After graduation he was with the NBC Radio Network as a Newscaster, first at its owned and operated station WMAQ in Chicago and then as Morning Co-Anchor at All News WRC, Washington, D.C. After returning to Nebraska he spent nearly 25 years with The Nebraska Rural Radio Association, first as Program Director of KRVN Radio in Lexington, and then Manager of KTIC in West Point. 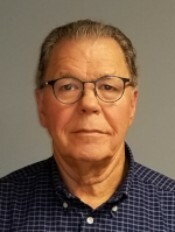 During that time he also spent considerable time surveying the Panhandle, developing the Program format and developing Community Relations when the Association acquired KNEB, Scottsbluff, in 1984. He returned to Lincoln in 2004. Charlie has received a National Press Club award and an Ohio State award for Consumer Reporting, an Arbor Day Foundation award for Environmental reporting, and numerous Gold, Silver and Bronze awards in the annual Nebraska Broadcasters Association reporting competition. Charlie has four children, eight grandchildren, one great grandson, and a 13 year old Shih Tzu Poo named Ozzie. Anna Staver is a political reporter with The Denver Post. She's spent her career writing in statehouses, courthouses and public meetings across the western United States. Anna has worked in radio, television and print journalism during her career and is the recipient of a Heartland Emmy as well as awards from the Oregon Newspaper Publishers Association. Her 2013 reporting on the shooting of an unarmed man in Oregon has been cited as a reason to require the recording of grand jury hearings in officer involved shootings. When she's not writing, you can find Anna hiking, running, snowboarding or attempting to perfect her bread baking skills. She's the mother of two daughters and two cats.